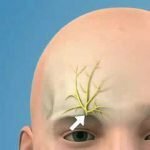 Hair transplant safety and hair transplant care. Two of the things I look for when I travel to new clinics for review is how they treat their patients while they are having surgery and how they protect the patient from infection and general harm. 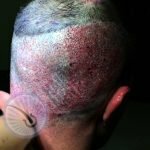 Hair transplant safety is a big issue for me. I've had some people ask me behind the scenes why I keep mentioning these priorities as being so important to me and it is simple. I feel that too many clinics focus too much are bringing new patients in and not enough on how to take care of patients after surgery. Further, I have seen first hand how a lack of hair transplant safety and care during surgery can lead to donor and recipient site infections that can linger for weeks thereby causing certain damage to the patient. If it weren't for the arrogance and selfishness of the doctor the patients would not have have suffered such easily avoidable problems. This is part of my motivation. 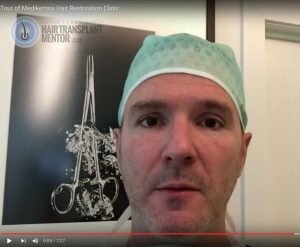 When I traveled to Brussels late last year to visit hair transplant specialist Dr. Emorane Lupanzula and the team at Medikemos Hair Restoration I was pleasantly surprised by what I found. I had already gained a sense of how important these issues are to Dr. Lupanzula when we had our initial meeting at the 3rd Annual Mediterranean FUE Workshop in Istanbul in 2015 but I was not expecting such commitment such as I saw when I made my way to his clinic. The video below shows my tour of the clinic and I show you not only some of the protocols that Dr. Lupanzula has set up for patient safety but also one unique feature about his clinic for patient care. Among the things that impressed me were the measures they take for patient safety. Maybe this is more common in Europe but it was the first time I had seen such security just to get into a clinic. First you need to have an access code just to enter the building itself. Then, you have to buzz up to the specific business you wish to enter where they have direct visibility of who you are with an HD 180 degree security camera. Once you are buzzed up you hit the elevator and then you still have to be buzzed in the front door. It was explained to me that this is done to ensure patient safety for one but to also ensure patient confidentiality. There is no way someone can just wander in through the front door and start walking around. This was always one of the weak spots at one of the clinics I used to work in but it is a non-issue at Medikemos. You then have the unique design of the clinic. This has nothing to do with the safety of the patient but it does fit in with the efforts for patient comfort. 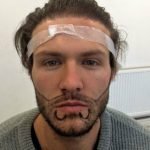 It is a very stylish clinic design that does tend to put one at ease, at least it did for me, and the overall vibe does feel like there is an effort for overall hair transplant safety. This has to do not just with proper surgical protocols and security but also with how the patient is feeling. One's attitude can have a big effect on hair transplant safety. The design of the clinic also includes something that I've never seen before. It is a room which is specifically designed for relaxation and peace of mind. You walk in to this room and the door slides shut behind you and you are instantly hit by the silence. It is not a 100% soundproof room but it is about as close to soundproof as most people will experience. There are two recliners in the room and the same 3D geometric pattern permeates through the room but in a darker color. I tried it out and after sitting for a few minutes I felt much more relaxed and at ease. I can only imagine how this must help some of the more anxious patients that I know have come through Dr. Lupanzula's doors over the years. Another aspect of how Medikemos Hair Restoration emphasizes patient care is that they don't want their patients to feel alienated during the surgery. I've seen this before. Usually, patients are just left alone while they eat their lunch or take a break and now that I have seen how Medikemos interacts with their patients I can see how places I've worked in the past are doing things wrong. Dr. Lupanzula recognizes that since most of his patients come from outside of Brussels they most likely are alone and when they are at Medikemos for a hair transplant they feel awkward and left out. The entire ordeal overall is stressful and nerve wracking so Dr. Lupanzula insists that the breaks and lunch are not for the staff but rather for the patient. In other words, the staff don't leave and let the patient sit alone with their food. The entire team gathers in the kitchen/lunch room and they all have lunch with the patient. Dr. Lupanzula joins in too as he wants the patient to engage in conversation and to feel like they are part of a group of friends. It was really quite refreshing to see this interaction and because Dr. Lupanzula speaks four languages there is rarely any barriers to discussion. This really stuck with me after I left as some doctors I know not only would not ever consider having lunch with their patient they would look at it as a very uncomfortable experience. Dr. Lupanzula looks at it as a part of the patient care experience and responsibility of the entire staff. Finally, when it comes to hair transplant patient care and hair transplant safety, Dr. Lupanzula and Medikemos Hair Restoration have extremely high standards in the procedure room. Masks are always used, as they should be, as well as proper latex gloves and procedure scrubs but one thing I saw that I've never seen before are clean room "sticky mats". These are floor mats made by 3M that are placed at the entrance to each procedure room. As you walk into the procedure room you take a few extra steps (in place) to allow the sticky mat to pull off as much dirt and grime from the bottom of your feet and shoes as possible. At Medikemos shoe coverings or "booties" are also required but the sticky mats are an extra step to hair transplant safety that I fully endorse. In general, I think the Medikemos Hair Restoration clinic is one of the more sanitary clinics I've been to and combined with the efforts to provide real patient care it is obvious that I picked a winner with Dr. Lupanzula. Stay tuned for more videos, including an interview with Dr. Lupanzula himself. 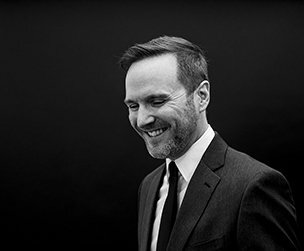 Great and very interesting write-up! Keep up your good work! Looking forward to more videos!